Christe James. The betterment of life. Since 1994, we have provided the highest quality of merchandise and service to discerning shoppers worldwide. We offer our customers an exclusive selection of bridal and fashion jewelry, from internationally-acclaimed designers such as Gem Platinum, JB Star, Norman Silverman, and Eddie Sakamoto. 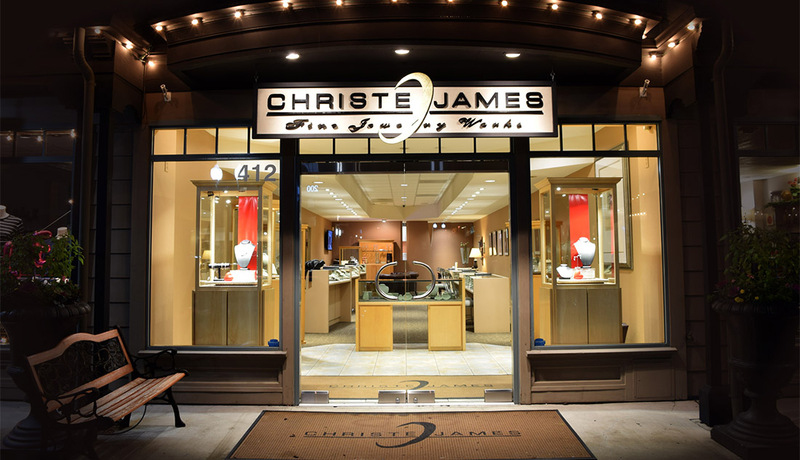 We are recognized as Danville’s most reputable jewelry design boutique for customers who value product differentiation. We offer custom jewelry design and quality craftsmanship. Distinguishable. Affordable. By virtue, we are loyal and dedicated to providing the best customer service. We take pride in helping our business community, promoting economic growth and development as business owners, and board members of the Danville Area Chamber of Commerce. Take a moment to view our select group of custom made jewelry designs. Or, come visit our store location in Downtown Danville. You’ll find our complete selection of designer jewelry to be as much a part of you, as it is of us.